Power Blade Lawn Care has expert landscapers who have spent years training and studying multiple methods of trimming hedges, bushes, and shrubs. They’ve perfected their practices and are ready to maximize the beauty and healthiness of your hedges today! 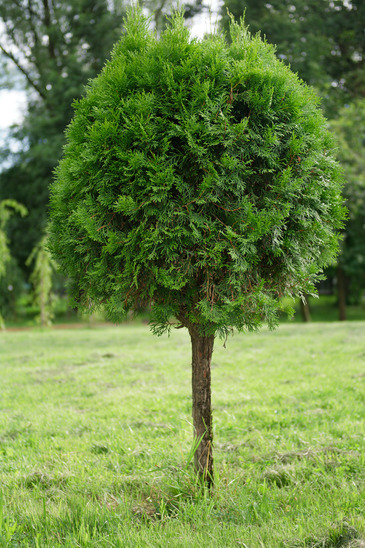 We offer a bush trimming service that is sure to leave you satisfied and appreciating your fresh, green shrubbery. With many years of experience in a variety of gardens working with a multitude of different bushes and hedges, our landscaping experts have devised the best ways to trim hedges and shrubbery. Our lawn care professionals can tend to your overgrown and nappy bushes and expertly trim away the bad parts, while glorifying and amplifying the good. It is important that a professional like the ones at Power Blade handles the hedge trimming because we know exactly how to maintain a clean shape while still working efficiently to keep enough healthy branches and leaves to uphold the shrub’s health. Your shrubs couldn’t be in better hands than our proficient landscapers. Power Blade Lawn Care only serves their customers the absolute best lawn service in the industry. We aim to please our clients with expertly clipped hedges that make their garden shine and optimize their home’s curb appeal. 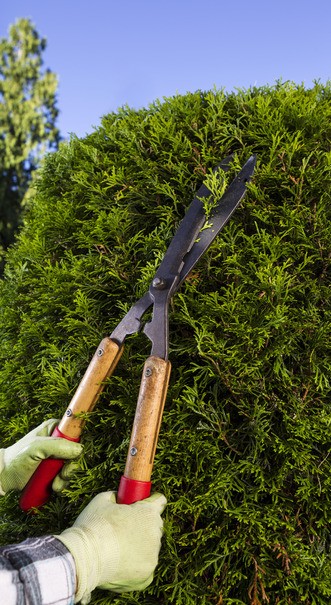 Trimming bushes and shrubs is important in maintaining their health, but it can also cause detrimental effects if done incorrectly. Our lawn care professionals practice perfected methods of maximizing your hedge’s health while keeping it within your requested space. Squaring off your hedge allows for optimal nutritional benefits, as the majority of the bush’s leaves have equal access to the sunlight. Not only that, but it also provides a clean and appealing look to your landscape. That organized appearance helps your house’s market value as well. So call us today and enjoy our hedge trimming services. There are other benefits to our bush trimming services. One of which includes your advantage to foliage and privacy. Proper shrub trimming will eventually lead to denser hedges as branches find alternative growing paths and begin intersecting each other. This allows you to cover the windows of your home to prevent unwanted guests from peering in. Trimmed hedges are crucial for home security also by creating an alerting noise, which is doubly effective if you own a dog. Intruders attempting to see into your windows will have to go through your bushes first, causing noise and possibly alerting whoever is inside. Let us increase your home security the best way we know how, by trimming your hedges. Lastly, our hedge, bush, and shrub trimming services offer you the opportunity to beautify your lawn and give your home the curb appeal you’ve always wanted and deserved. Your neighbors will envy your perfectly kept lawn and trimmed bushes. Our shrub trimming service is sure to up your house’s value and make you smile every time to come home. Even for businesses, our hedge trimming can make your store catch more eyes, leading to more business for you. Let PowerBlade Lawn Care help you out by trimming your bushes and hedges!